I have the dalmatian too! Next time I go to my parents house I will try and dig him out of the basement, I know I saw him there recently. Hey! I found a picture of another one and it happens to be the other one that I had! It was in a sales post that was years old. I asked if she was still selling, but I've had no reply. I don't really remember the doll that came with this one, but I distictly remember her catfish comb and her vanity. Her tail would slide under the bed so she could sit at the vanity. Ahh it's so great to see one of the playsets! Unfortunately this one doesn't ring any bells. Must not have been one of the two I had. I could have sworn it was a bedroom, but I guess not. Thanks for finding and posting it! I found the Waterfall playset at a thrift store a few days ago! You guys brought me good thrifting vibes! Hooray! No mermaids with it? How exciting either way! I Used To Have That Same Exact Bedroom Shell. I Dont Recall Her Having Blue Streaks Though... I Remember Mine Had Light Pink Streaks. I Also Had The Waterfall With The Rainbow Merwee. I Had 2 Others, 1 I Forgot What The Inside Was But It Had A Sky Blue Shell With A Black Merwee... Purple Or Blue Streaks Cant Remember. 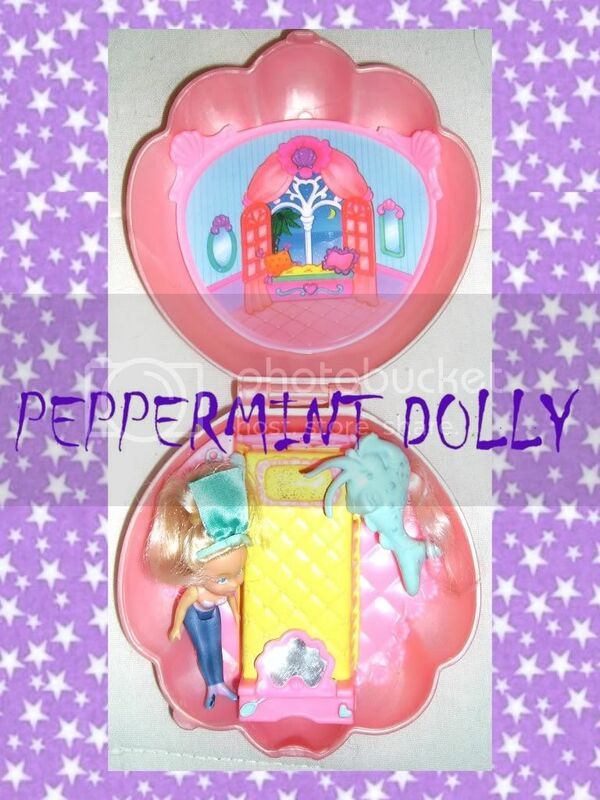 My Favorite Was A Aqua Green Bathroom Shell With A Merwee With Matching Green Streaks. Could the African American one's shell have been some kind of restaurant? EricaVee said that she had and African American one with a restaurant.. so I figured maybe they're the same one. I'm glad to have confirmation on the phone now! I was pretty sure, but the Merwee was in the way in the picture. BTW I changed it to the smaller version but now I think it's too small. First too big and now too small! Dx I'll try to make it medium sized! I think you must be correct about the streaks! My wedding Merwee has a purple streak and her shell was purple too! I really need to go to thrift stores more often! I changed the image back to the big one. If it's annoying I can go back to small. I'm starting to think more and more that I had the wedding playset. The boy doll looks REALLY familiar, I know for sure I had a purple shell, and one of my dolls had a pink tail. also.. I feel like We've (mostly me) turned this thread into a discussion thread rather than a wanted thread.. Should we edit it? Perhaps put all of our discussions to the ID'd toys page? ALSO! Zappy! We wanna see pics of the rainbow waterfall with your merwees! I think I speak for all of us..